There are people who enjoy watching movies, then there are people like you. For you, watching a movie isn't enough - you want to know everything about it, and every time a new actor appears onscreen, you wrack your brain trying to remember everything that you've seen them in. Or you discover a new talent, and want to know everything about them, right there on the spot. Or you absolutely need to be the person in the room who can rattle off every award that a movie has won while you're waiting for the disc to load. Thankfully, there's a piece of software that's designed to help you achieve the status of King of Cinema in your household, and it's called Movienizer! 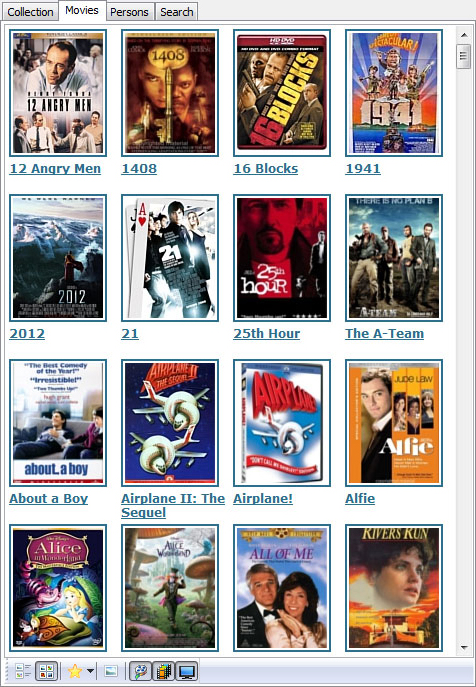 Movienizer lets you organize and rate all of your movies, giving you valuable access to plot synopses, shots, online database ratings, and a whole mountain of information about each film. Not only will you have a list of actors and cover art for each movie, you'll also be able to quickly look up each movie's budget, award nominations/wins, and other films that the actors have appeared in. 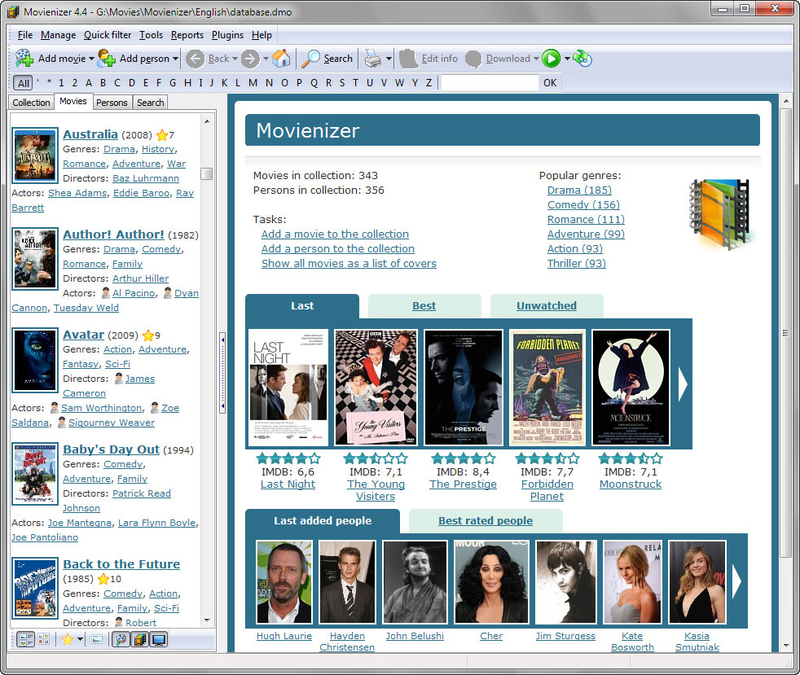 With Movienizer, you will transform yourself into a walking encyclopedia of knowledge about every film that you own. As the neighborhood lending library for DVDs, you're probably frustrated with those one or two items that you've lent out that never came back. Thanks to Movienizer, you'll now be able to track which of your friends have which of your movies, giving you the ability to shake them down to get back what's yours! 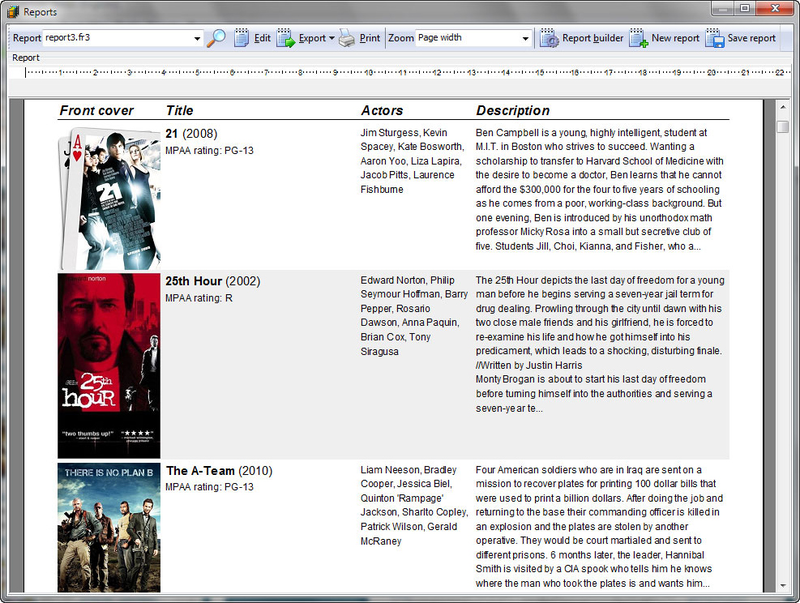 As movie-focused as Movienizer is, you can also use the program to conduct in-depth research on specific actors. 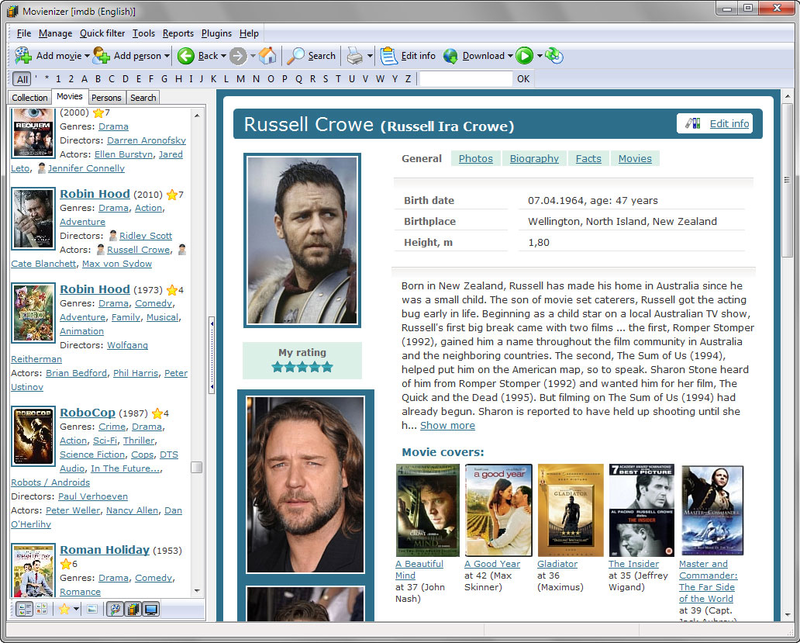 Just enter the name of the actor into Movienizer, and the program automatically fetches the details of that actor's body of work from the Internet, saving it locally for you to read at your leisure. After you purchase Movienizer it may be used indefinitely. Movienizer is licensed per computer, and not per user. Herman User Hi, I am doing a tryout of Movienizer portable. 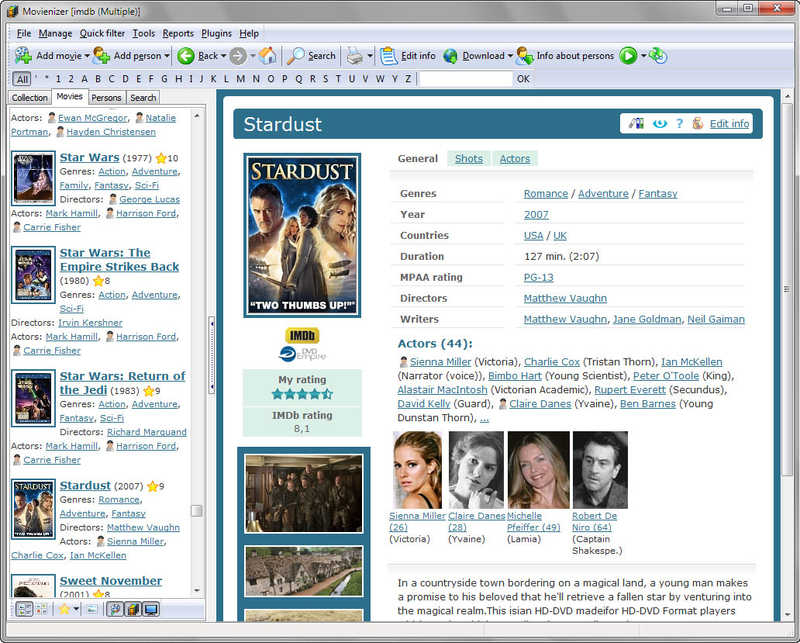 Above the left panel I see three tabs: Movies, Persons, Search. The Fine Print of bitsdujour? "Transfer of a license to another owned computer is allowed"
"An activation cannot be moved to a different computer"
"If you have already used up all activations and move to a new computer, you need to purchase an additional license"
Mustang Does Medianizer include all of the features found in Movienizer? Throw Out Your Filing Cabinet! Rip and Convert Hi Def Movies!